Landlords or Tenants? Who will pay if rented property is burgled? Q. I live in a rented flat. I’ve just been burgled but my landlord says I am liable for the damage caused by the burglar – is this right? A. Generally, the landlord of a rented property is responsible for providing the tenant with a safe and secure property that is in a good state of repair, although there is no minimum security requirement that the landlord must provide. You will need to look at the small print in your tenancy agreement but it is usually the landlord’s responsibility to repair damage caused to the property through crime. It should be noted that this only applies to the fabric of the property and any contents the landlord includes in the tenancy and would not extend to a tenant’s own belongings or furnishings which would need to be claimed for under their own contents insurance. What should I do if my flat has been burgled? You should then contact your own contents insurance provider, providing them with the crime reference number in order to start a claim for your own belongings. Generally, either the police, management agent or Landlord will arrange for the apartment to be secured if necessary, usually via erected boarding over any broken areas such as windows. Whether any damage is caused inside or outside the property, the landlord should have buildings and contents insurance to cover it. If the insurer will not pay for the remedial repairs, ultimately it is still the landlord’s responsibility to pay, unless it can be proven that the damage is caused by the tenant. As the tenant, you should have your own insurance policy to cover loss or damage to your own personal belongings. The landlord is not responsible for replacing or repairing any of your belongings that have been stolen or damaged. Landlord or tenant – who is responsible for damage caused? Most tenants have an Assured Shorthold Tenancy and the tenant’s and landlord’s responsibilities should be outlined within. Usually the landlord will be responsible for repairing any damage to the exterior of the property – this would include instances such as repairing a broken window or even vandalism to an outside space such as a garden or communal hallway. If you live within a block of flats, the maintenance for the common areas of the building would normally fall under the remit of the appointed block managers. However, if the damage was due to the tenant’s actions or inactions and this can be proven, then the tenant would be liable. In legal terms, this is known as ‘waste’ and refers to deliberate actions caused by the tenant such as breaking a window or door. Responsibility for any damage caused inside the property would also depend on who caused the damage. If the tenant cannot be held responsible for the damage, whether this is to fixtures or to furnishings supplied by the landlord, it is the landlord who is responsible for any repairs or replacement. Some insurance policies are clearer than others concerning what they will cover and what they won’t. An example of this could be where the insurance policy states that the occupant should ensure that all windows and doors are locked when the property is empty. If the tenant then goes on to leave a downstairs window open when the property is unoccupied and it is subsequently burgled, then the insurer may only part-pay towards some of the repairs or cite this as negligence and not pay out at all. If the latter is the case, then the only recourse the landlord would have is to try and claim the costs from the tenants themselves, via the courts if necessary, or be left out of pocket. Beyond the very broad responsibility to ensure the rental property is ‘safe and secure’, the landlord has no specific duty to carry out any improvements to security, even if a burglary has taken place. 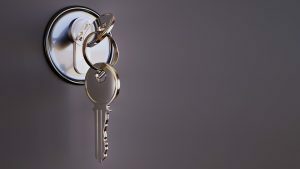 They may be willing to provide additional security as a gesture of goodwill but if not, you could arrange to carry out improvements yourself – for example, this could mean arranging for new door or window locks to be fitted but you will need to get the landlord’s written permission first. You should give the landlord a new set of keys. You will also need to keep the old locks as these remain the property of the landlord. 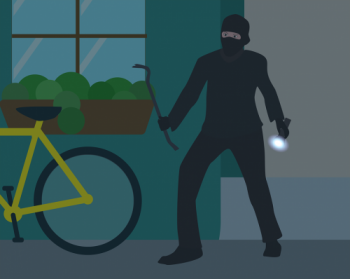 For tips on protecting yourself against burglary, there is some helpful guidance provided by the Metropolitan Police on how to protect your rented property. Some security advice we would suggest to help prevent or deter a burglary would be to lock all doors and windows before you go out. If there is an alarm, make sure you use it. Ensure you do not allow people to “tailgate” you into the building and challenge anyone that you do not know. If you are going away for a longer period of time, let the managing agent know. You could put lights on a timer so that it doesn’t look empty. Also, don’t leave bins out while you are away as this is a red flag to burglars. And ask a neighbour to push post properly through the letterbox while you are away as a build-up of post is another sign that the property is empty. What if I no longer feel safe in the property? If you still don’t feel safe in the property and simply want to move out, you will have to wait until the tenancy ends or a break clause comes up. The landlord might agree to you moving out earlier but this would be at their discretion and might involve paying costs to cover additional administration. As ever, prevention is always better than cure. So take a thorough look at your rental home and see if there are any weak points. If there are, talk to your managing agent and look at installing some additional security measures yourself (with the landlord’s permission), for your own peace of mind. If you are a landlord and would like some general security advice regarding your rental property, we can help. Contact your nearest Benham and Reeves branch where one of our lettings staff will be able to guide you.